Carpet Set. They fit the GL1800 01-17 and F6B saddlebags. 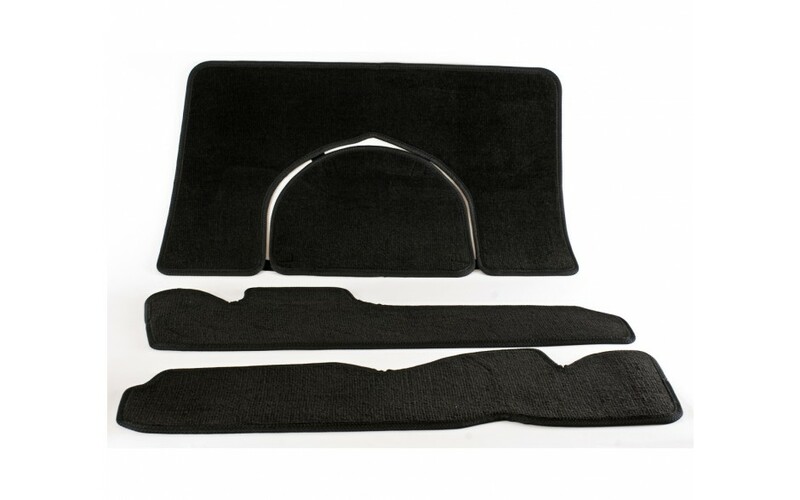 GL1800 01-17/F6B Carpet Set is black with black stitching. The set consists of 3 pieces, one to fit the bottom of the trunk with a detachable flap for access to the CD player and one to fit the bottom of each saddlebag. They are a perfect fit for the GL1800 01-17 and F6B saddlebags. These are beautifully made and are easy to take out and clean.